The festival featured: a Gorgeous Visual Arts Display, Angelic Choral Interpretations, Creative Instrumental Music Improvisations, Beautiful Dance Performances, Astounding Theatre Shows, Hilarious Improv, A Delicious Sturgis Parent Association Luncheon Buffet and the debut of the the new Sturgis Saxophone ensemble! 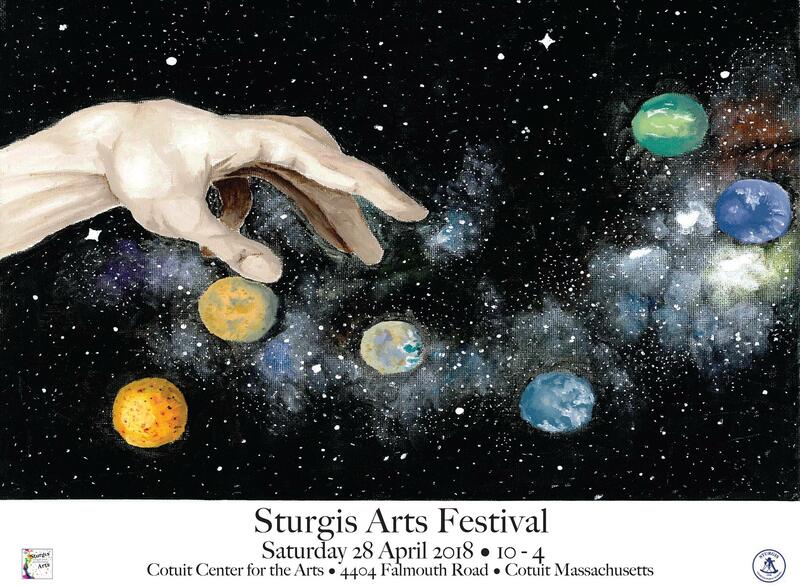 Congratulations to all the actors, artists, dancers, musicians, singers and tech crews who made the East & West Sturgis Arts Festival a great success by sharing your talents! 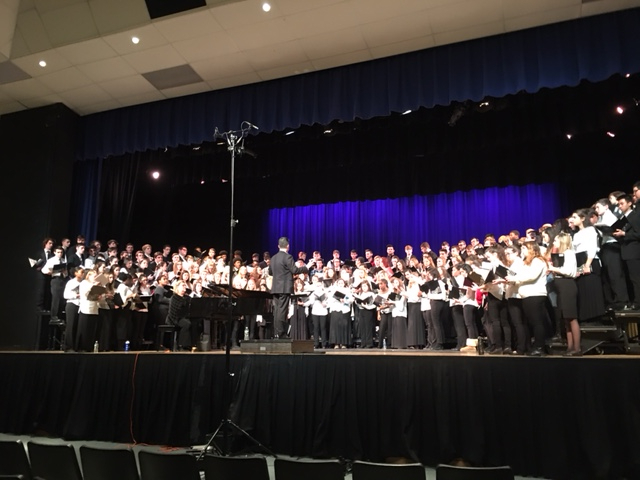 For the first time, our school also submitted to the composition contests held in our district and throughout the state. David will also be attending the all-state composition workshop as his composition won first place in our district. Congratulations to the following students from both East and West campus whose photography submissions have been chosen to be part of the Cape-Wide High School Photography Exhibit at the Cultural Center of Cape Cod: Noah Davison, Aiden Smith, Lily Benedict, Michael Mitrokostas, Dakota Smith, Holly Soneye, Laurel Krick, and Jillian Gillman. Their work will be on exhibit from March 9th to April 29, 2018 with an opening reception on Friday, March 9, 2018 from 5-7pm. 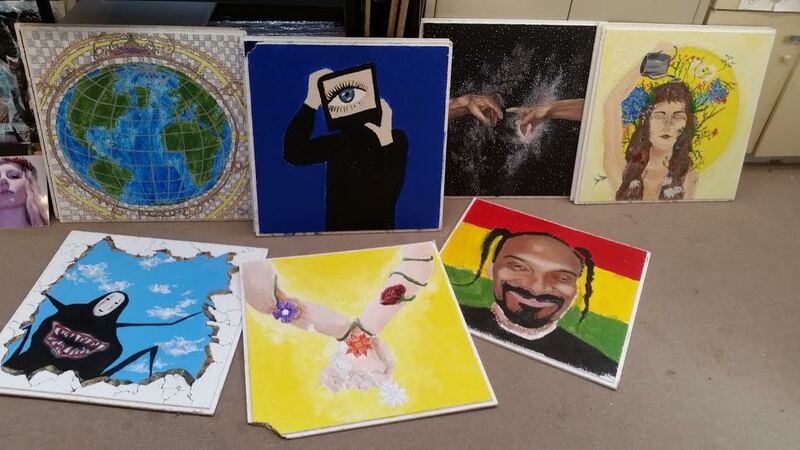 Congrats to the IB art seniors who have completed all requirements of the IB visual arts course, and are now enjoying their time working on an East Campus tradition of painting ceiling tiles for the main hallway. IB art students put together a wonderful event celebrating their hard work and creative growth during these past years. 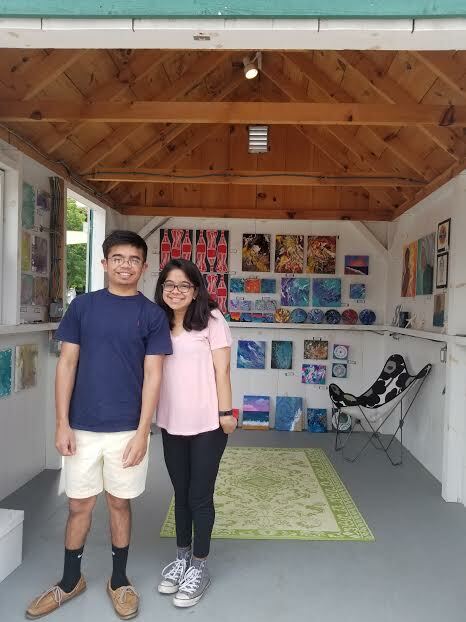 They shared their work during a Senior Art Exhibition at the Guyer Barn filled with parents, grandparents, friends and the Sturgis Community and thought provoking, original and meaningful artwork. Thank you to all who have supported these amazing students. 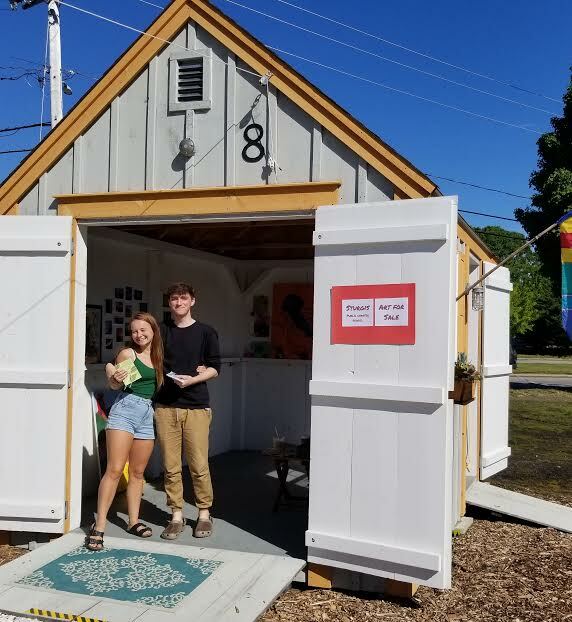 IB art students from both campuses experienced the life of working artists and spent the first weekend of summer vacation selling their artwork. 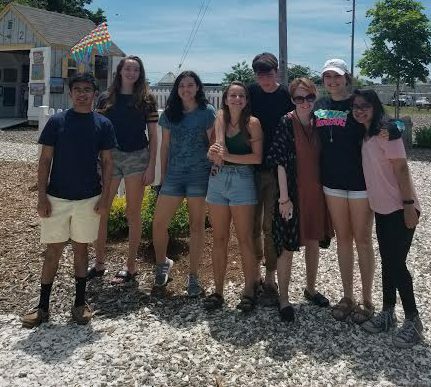 Orleans Artists Cottages provided free cottages to Cape Cod High School art students this past weekend. It was a fun and educational weekend. There was even a beautiful rainbow to accent the day. 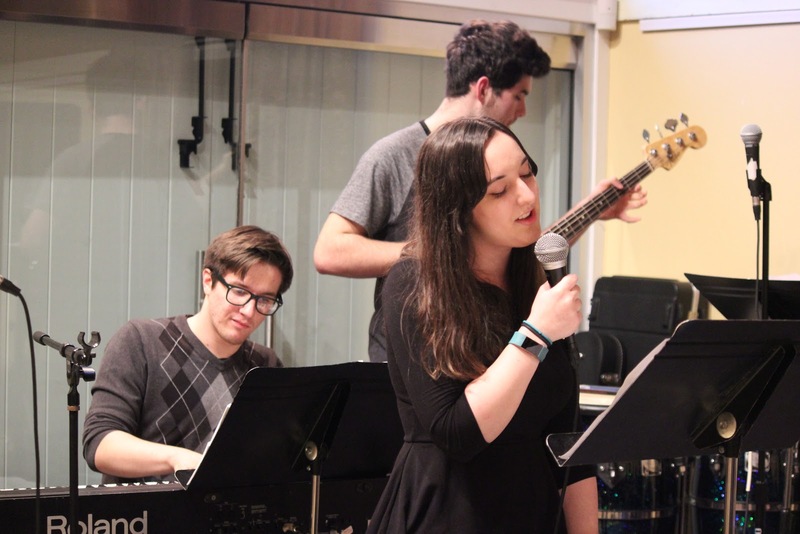 IB Music students held their senior recital on March 22nd at the Guyer Art Barn. 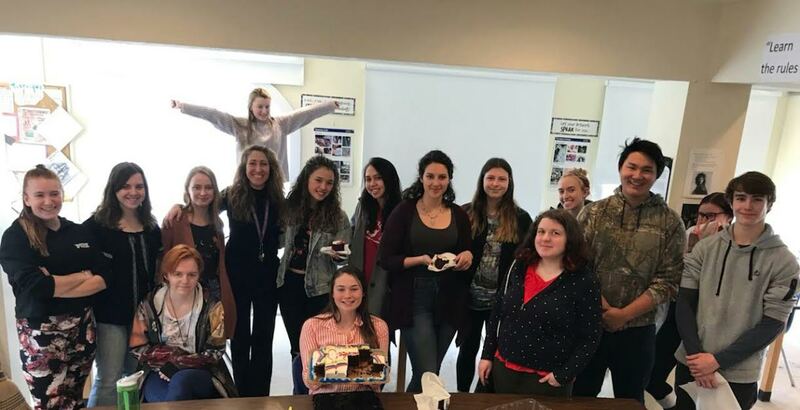 It was a great opportunity to celebrate the growth and achievements of the 12 students graduating this year with food, friends, family, and supportive staff members! Congrats, seniors! 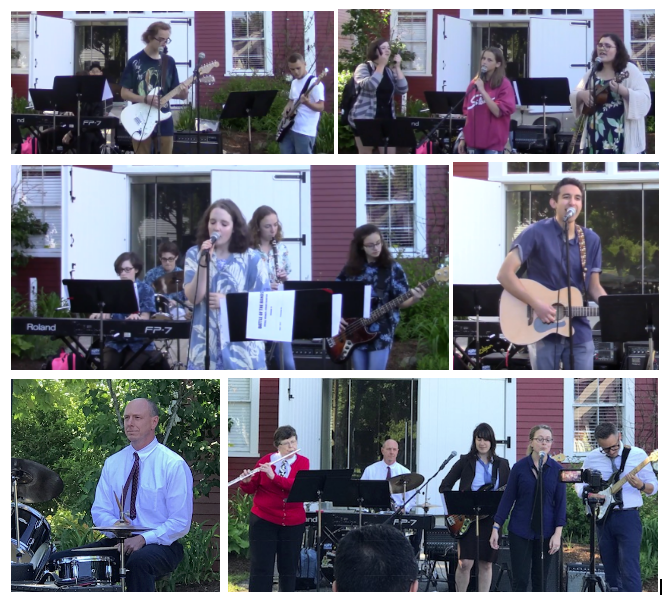 This year’s second annual Battle of the Bands took place outside the Guyer Barn Wednesday, June 6th! The Best Band Award went to an all girl band this year – “Queen Ann’s Lace” (Sarah Smith, Krisha Adhikari, Maris Poepsel, Razilee Mueller & Phoebe Cohen)! The close runner up was “The Cooligans” (Owen Horn, Ray Asquino, Daniel Pang, Max Rafferty, Matt Lyons). The Best Band Theme went to the West jazz combo “Johnny and the Songbirds” (Genevieve Sull, Isabel Husted, John Guptill, Catherine Barrera, Emily Melvin). The Best Stage Presence Award went to the lovely duo Hannah Allen & Corinne Cole. Alumni guest acts from music students that now gig professionally and make their own albums – Chris Parkin, Jonah Senzel, & Sam Fryer! 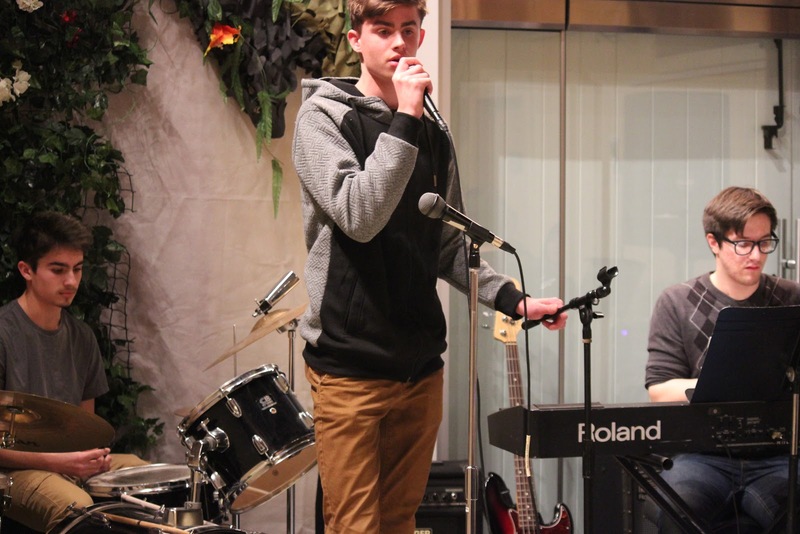 Our annual Poetry Out Loud poetry recitation competition was held Feb. 13th. 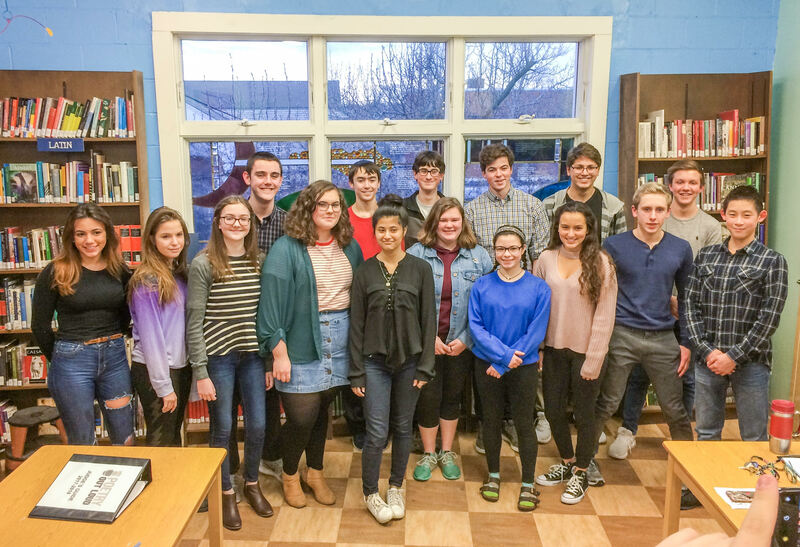 There was eager involvement from 9th and 10th grade students who created an emotive and dramatic afternoon with their memorization and recitation of two poems. It was a very successful event with all 17 participants showing confidence and talent. Caroline Curran won the event and will attend a regional competition March 3rd. Corinne Cole was the runner-up. Bravo to all! This year’s West Poetry Out Loud winner is Abigail Jones and runner up is Genevieve Sull. Congratulations to all participants! 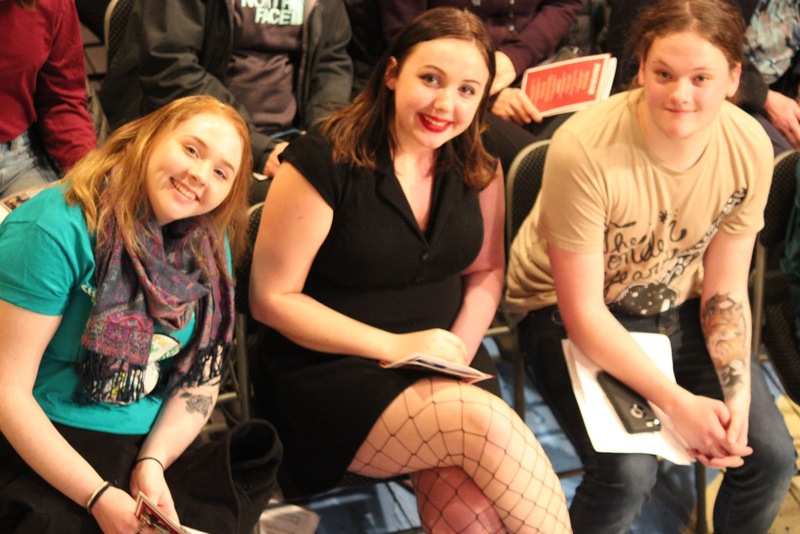 Recently, STAGE, Sturgis’ own theatre group, put on a showing of the play Hush Little Celia, Don’t Say a Word and Sturgis West’s play, Detective Sketches (Trouble is Eating my Pants). Both of these shows did great at the general showings. Afterwards, everyone involved prepared to perform their plays at the Massachusetts High School Drama Festival. This event, put on by the Massachusetts Educational Theatre Guild (METG), is a gathering of the best theatre high schools Massachusetts has to offer. Each participating school puts forward a short, one act play (about 40 minutes) which is shown in regional competitions all over the state. Once every show has been performed, judges select three to move on to the semifinals. The same process is repeated at the semifinals and finals until a winner is decided. This year, many great shows were performed in the regional competitions, ranging from dark dramas to ridiculous comedies. 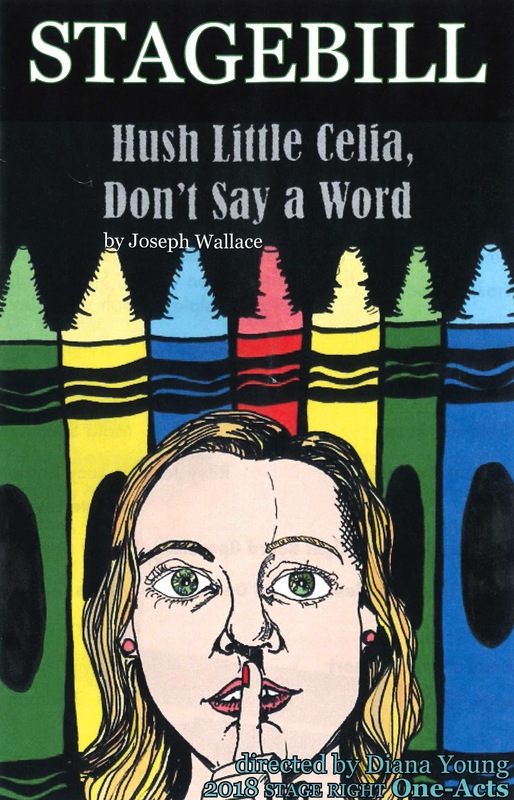 Sturgis East’s play, Hush Little Celia, Don’t Say A Word, was about the interactions of Celia, a girl with selective mutism, meaning she will only speak to a few people, and Todd, a rebellious boy. 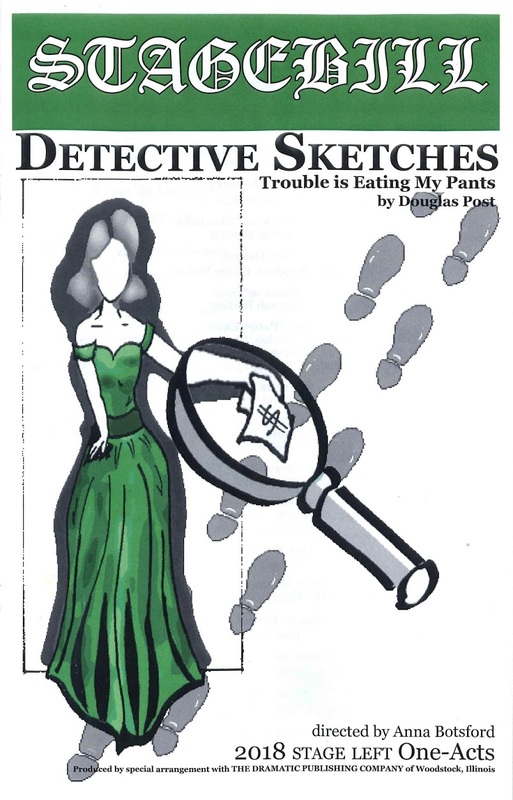 Sturgis West’s play, Detective Sketches (Trouble is Eating my Pants), is the story of an old-time private investigator who receives a case from the enigmatic “Woman in Green”, leading him on a wild and hilarious chase for something she had lost (though she couldn’t remember what). Although every school was amazing and put forth tremendous effort, only three could move on to the semifinals. One of the selected winners was Sturgis West and Detective Sketches (Trouble is Eating my Pants)! 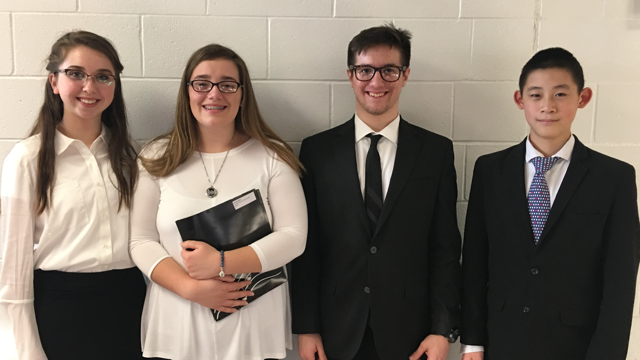 Last weekend, they participated in the semifinals at BMC Durfee High School in Fall River but did not earn a spot in the state finals. We here at the Sturgis Stormwatch would like to congratulate Sturgis West on a great outing this year, and we wish both campuses great luck in their future endeavors! 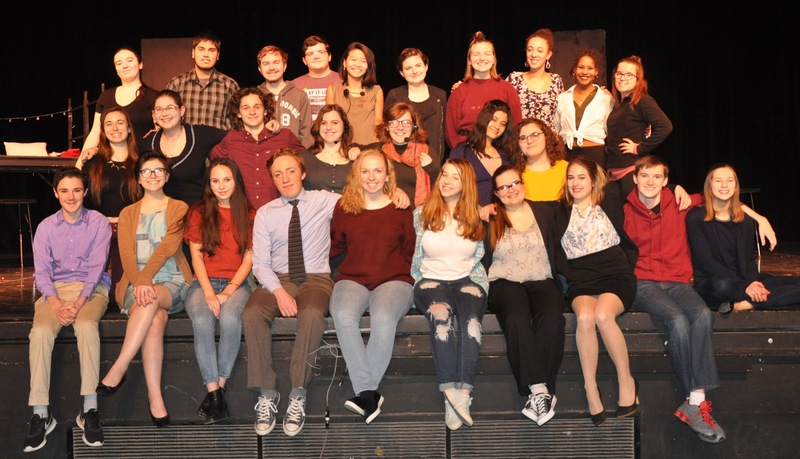 Congratulations to everyone who participated in the Massachusetts High School Drama Festival!